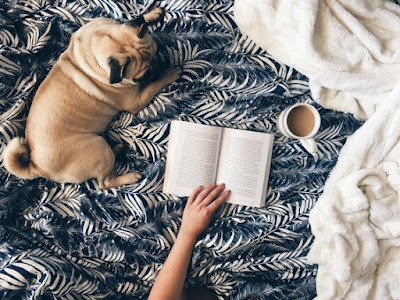 Spending time with our Dogs at home is nothing short of a comforting activity, but there aren't there times when you feel like getting some fresh air outside for a change, with your Doggo? Head on down to a Dog Cafe, because here's the best part— You are encouraged to bring your own Dog(s)! 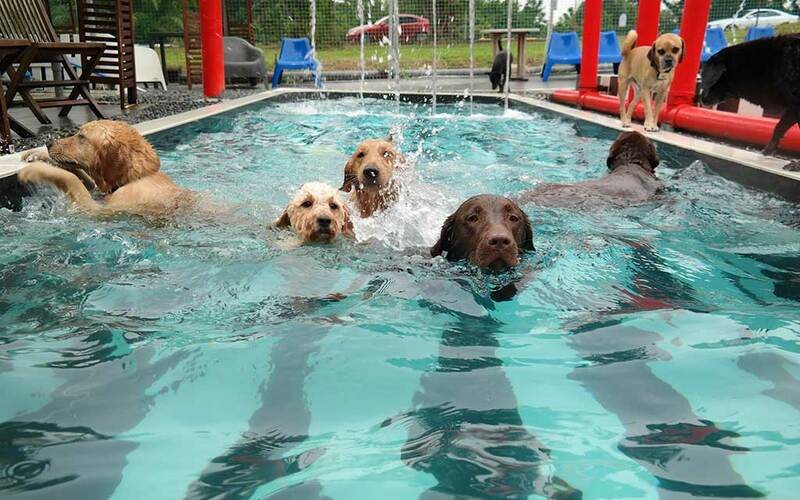 Are you excited to head out this weekend yet? 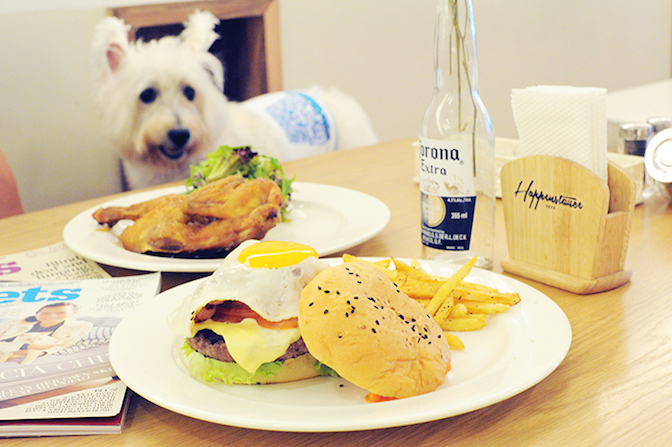 Why, they have menus for your pooches too! 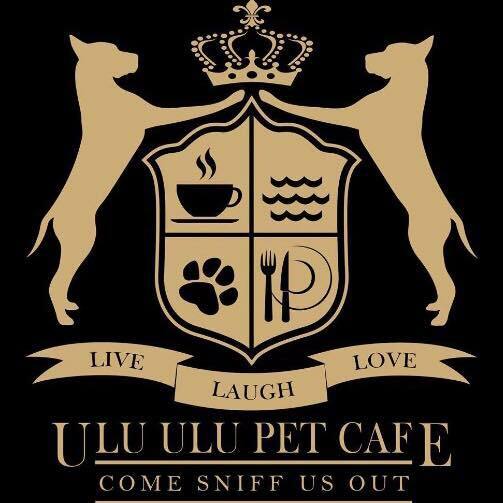 Now you can diminish the worry of your Pet going hungry or thirsty whilst chilling in a Café with you. 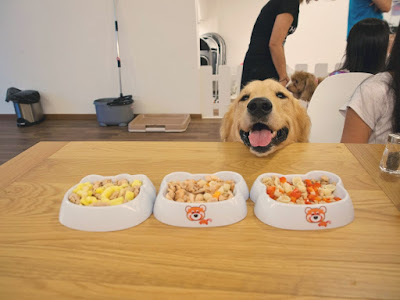 Pick a viable choice from the complete list below, inclusive of menus! 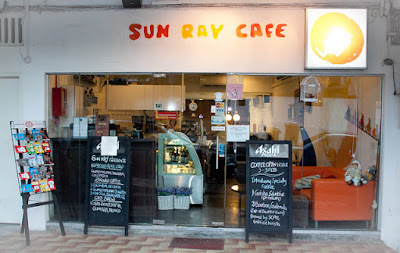 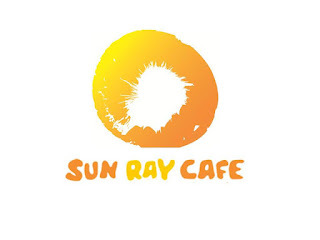 The longest standing pioneer amongst Cafés catered for Dogs and owners, Sun Ray Café was established in 2010. 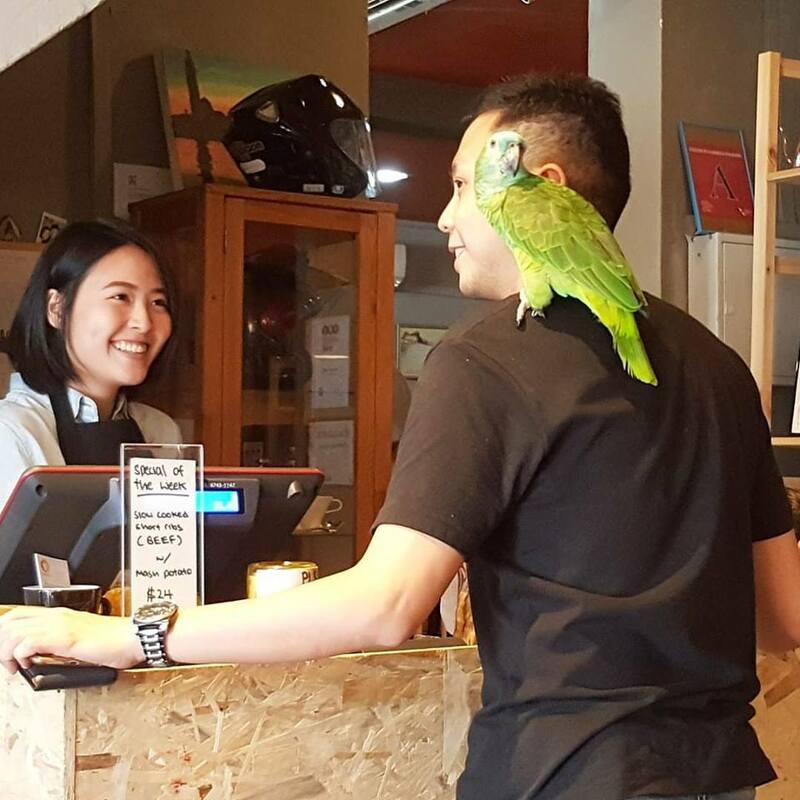 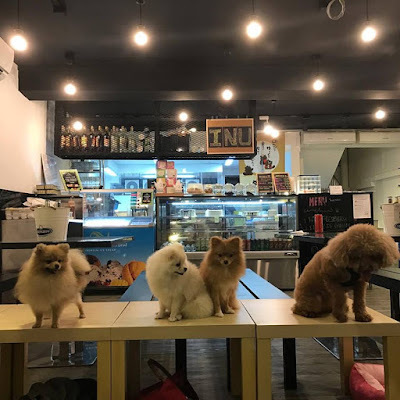 As a cosy little spot nestled in Serangoon Gardens, they provide hearty Breakfasts, Lunch, Dinners for their Human patrons and a specialised menu for your Furkid too. 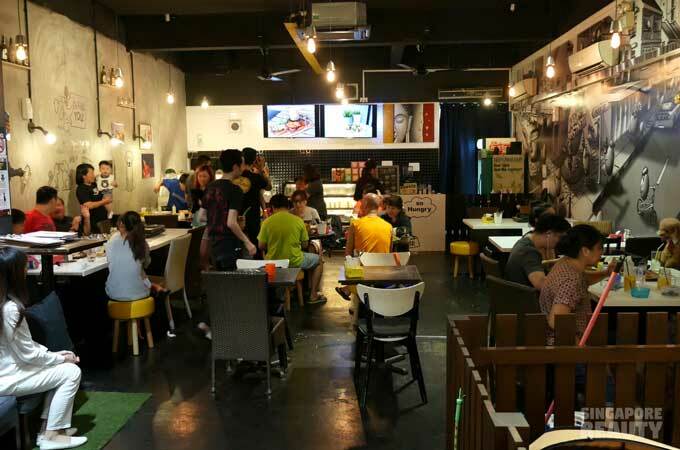 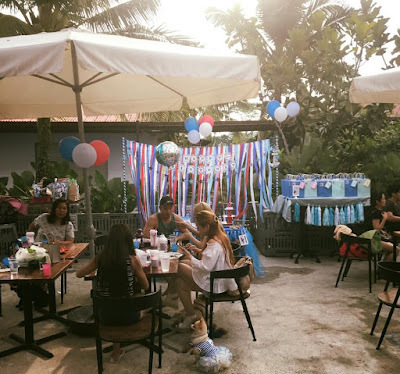 Though the space can get cramped during crowded moments, Sun Ray Café makes it a point to safely cordon off an area for patrons with Pets, so everyone can enjoy their food and drinks in peace and harmony, even for those that came by without Dogs. Menu — Downloadable full menu here! 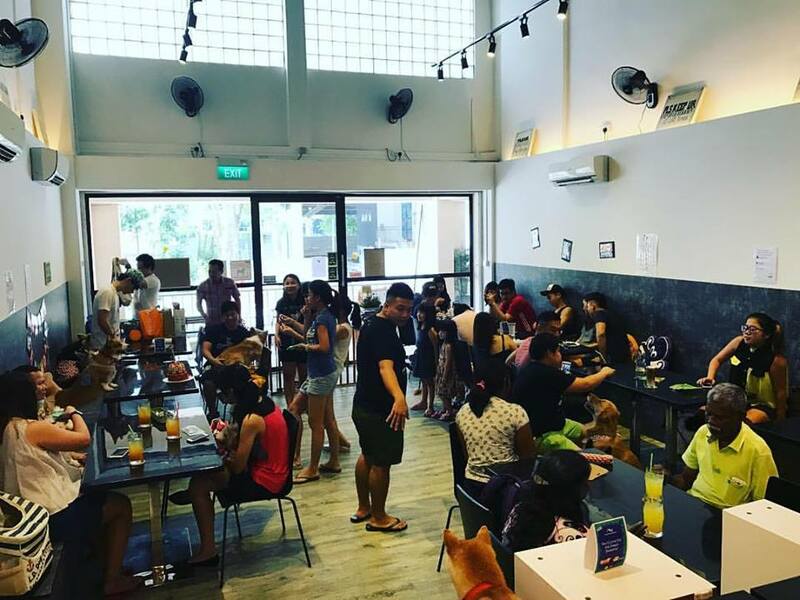 Another very popular spot that always seems to be packed with furry companions and owners alike, Happenstance Café is well known for their Make Your Own Pasta selection on their menu, including the Café staples such as Fish and Chips, and Burgers. 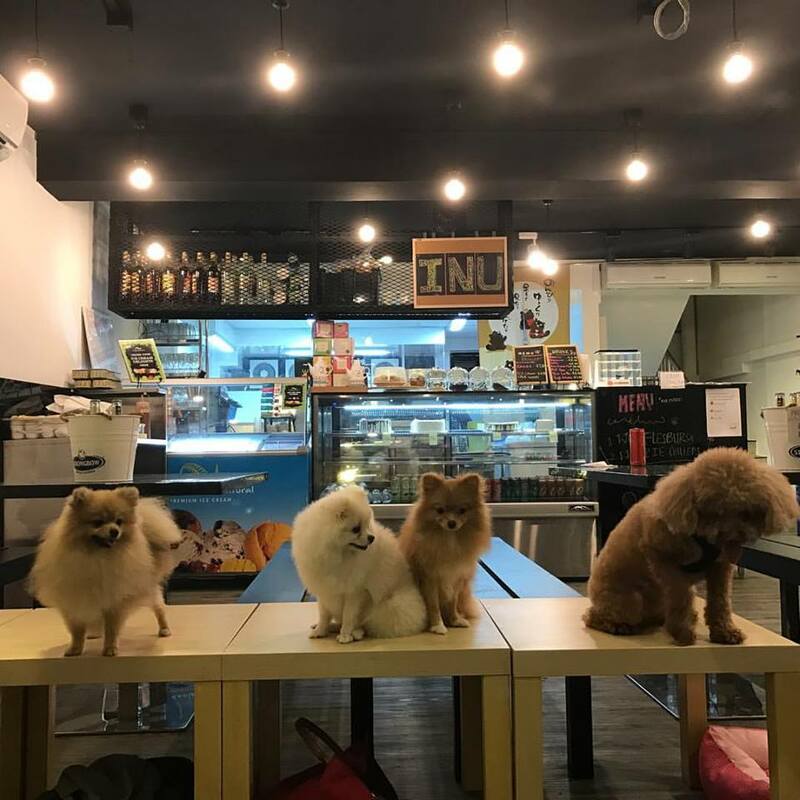 The café comes with a huge play area for Doggos to play, mingle and explore while you enjoy your meal. Happenstance also has a menu catered for your Pooches, so they get to dig into their meals after playtime! 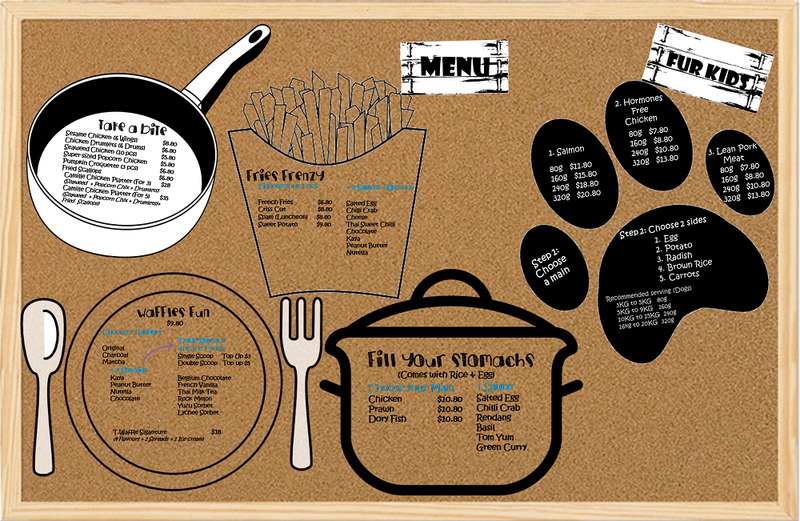 Menu — As uploaded on their Facebook page here! 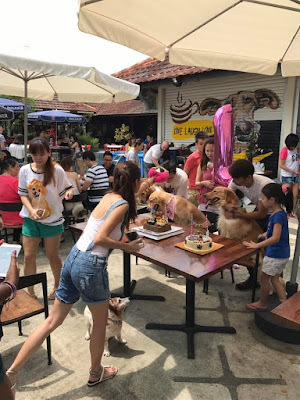 Located in the very Dog-centric Sunny Heights, Ah B Café offers a spacious interior and outdoor area for both Dogs and Humans alike. 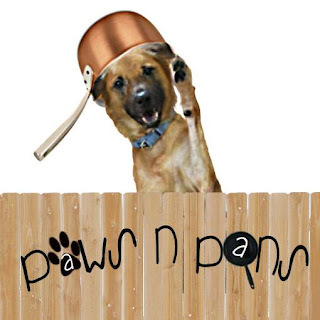 The outdoor space is fenced to assure the safety of your Pooches whom are having a ball of a time running about outside. Menus for Canines and humans available, including other amenities like a Dog pool, Dog bakery and grooming services located nearby. This is a popular spot for events like birthdays and gatherings for its huge space and Pet friendly amenities! 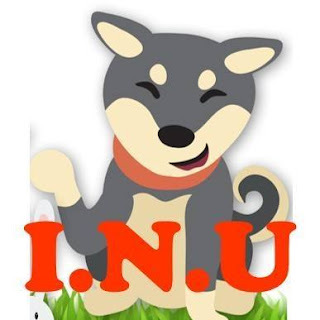 Paw Pet-radise has been bought over and revamped into I.N.U Café! The space now houses a modern and clean feel to its interior, with the same large space for your Doggos to roam about, play and socialise and ideal for events. 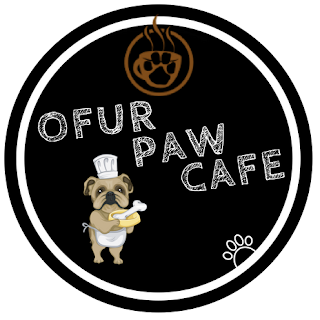 Reasonably priced menu items for Dogs and Humans both available, with a wide range to boot! The most active café and event space in terms of collaborations with local Animal Shelters has got to be Paws N Pans. Given that they are situated in a nifty 3 storey shop house, making it an ideal space to hold functions or events, private or not ☺ Established in 2016, Paws N Pans offers affordable delicacies for you and your Furbabies, with a “playground” space not to be missed. Established this year 2017 and a little out of the way (ulu indeed!) for most peeps, but they offer a free roaming space of vast greenery, with a self-built Dog pool and showering area, plus talks from an experience Dog trainer every weekend! 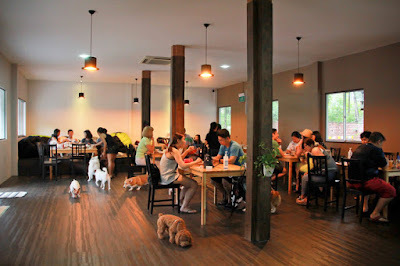 Dog and Human friendly menus available, with outdoor seating if preferred. The latest and newest kid on the block is now Ofur Paw Cafe, conveniently located near Beauty World MRT (Beside popular cafe/bristro Revelry)They offer up a pretty extensive Menu for humans in Western Cuisine, and DIY pancake fun. Dog-friendly menu also available! 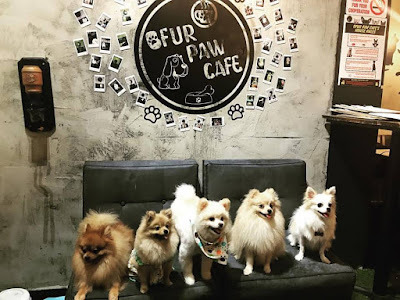 Well if you're looking to do a quick trip and chill out somewhere with your furry buddies on an off day, why not check out these spots that aren't just Pet-friendly, they'd serve your Pooches up with a nice hot meal too☺ Pawtastic! 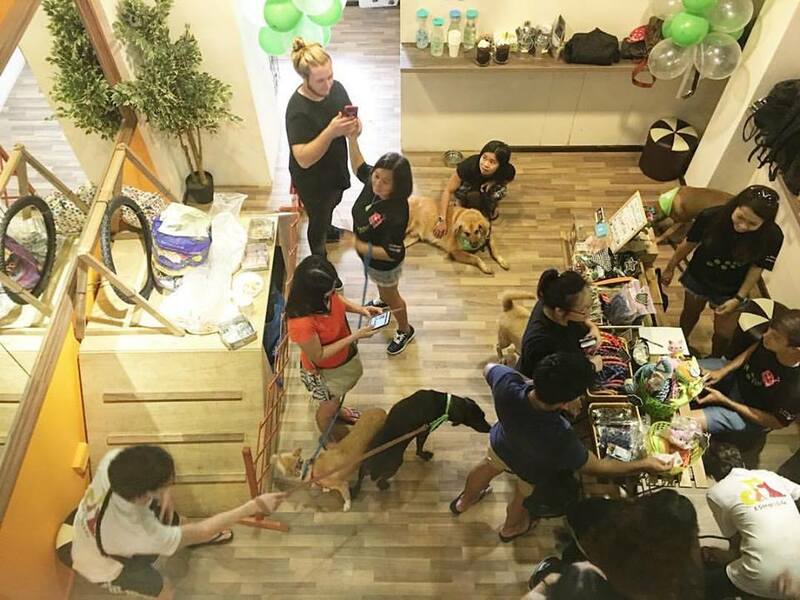 Have you been to these Dog Cafes? How was your experience like? 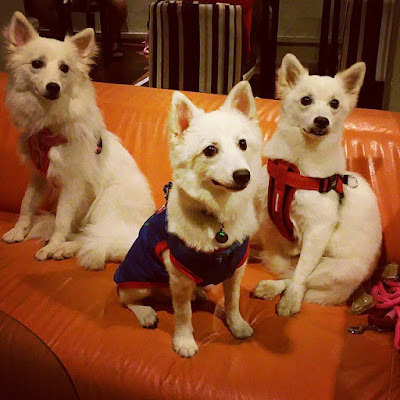 Your voices are important to us and the Pets community! 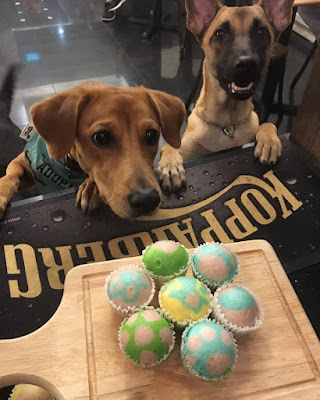 Our readers are encouraged to share their Pet-related reviews of a place and its services, experiences, even lifestyle tips and tricks to better our Pets lives, on our platform, one paw at a time. 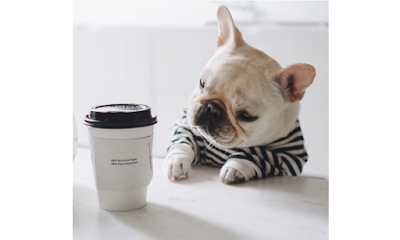 Be a part of an educational and informative Pets community because at ThePetsDialogue, your voices could make a huge difference.